Are you interested in property in the most distinguished and cultured destination on the Turkish Riviera? Bodrum is a prestigious mix between exclusive lifestyle and luxury properties. Home to the debonair, favourite spot for the rich and famous, and some of the best sunsets you will ever experience. 5-bed villa for sale in Bitez with full sea & nature views. An ideal high-end investment that will give the owner the benefit of Turkish citizenship. Luxury villa in Yalikavak for sale with sensational sea & nature views. Near the beach in Koyunbaba with a great rental history - Bodrum investment. 2 Bedroom luxury apartments for sale in Bodrum Town. Central location close to the sea with full panoramic sea views. Buy-to-let investment in Bodrum. Apartment for sale in Yalikavak with 2 bedrooms. Set in a boutique complex with stunning views of the sea. Bodrum Investment at an affordable price. Yalikavak villa for sale with fantastic sea, sunset and nature views. 400m to the beach with easy access to amenities and Palmarina. Ideal investment. A 2 bedrooms ground floor garden apartment for sale in Bodrum, located close to the beach between Gumusluk and Yalikavak. Ideal home or investment. Luxurious houses for sale in Bodrum, near the beach in exclusive Yalikavak. Our Aegean Blue Villas as featured in Sunday Times awaits you. Contemporary design luxury Yalikavak villa for sale with infinity pool & excellent sea views. Ideal opportunity for a high-end investment in Bodrum. With over ten yeas experience in the region, we take pride in sourcing, finding and presenting the best there is in Bodrum real estate. Our exclusive Bodrum property portfolio is made up of carefully selected, handpicked options. 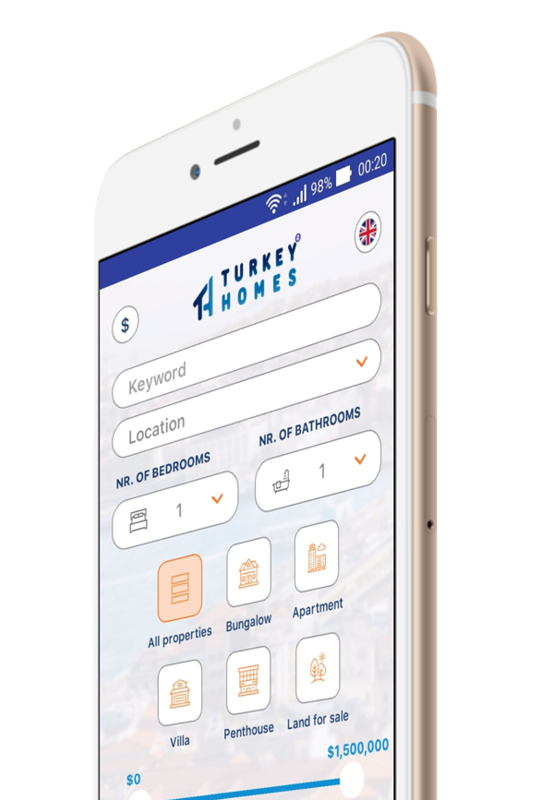 Whether you are looking for a luxury investment property or an exclusive Bodrum home, we can guide you from the start of your Turkey property journey, right until the end. Detached modern villa for sale in Yalikavak with fabulous sea and sunset views. Value for money Bodrum Investment. Property with great rental potential. Panoramic sea view villas in Yalikavak for sale with a unique sea front location, private beach and luxury hotel facilities. Ideal Bodrum investment. Prestigious villa in Yalikavak for sale with a private location, panoramic sea views & separate guest house for an ideal high-end investment in Bodrum. A 3-bed detached modern villa in Gumusuk for sale. Close the beach and amenities along with easy access to all Bodrum resorts. Bodrum investment. A stunning stone bungalow in Yalikavak for sale. Very close to Palmarina in the heart of the town with a shared pool. Affordable Bodrum investment. A 2-bed penthouse for sale in Yalikavak at a bargain price. Panoramic sea views, ample outdoor living space close to the beach. Bodrum Investment. A private estate of contemporary villas in Yalikavak for sale with great sea views, natural surroundings and a private beach. Ideal Bodrum Investment. Golf villa for sale in Bodrum with a view over Tuzla Lake & a private pool. A resort style complex with vast on-site facilities. Bodrum investment. An affordable 2-bed golf apartment for sale in Bodrum. Located in a resort complex close the beach and Lake Tuzla. Ideal Bodrum investment choice. An affordable 2 bedroom apartment for sale in Bodrum with great on-site facilities and panoramic lake view in Tuzla. Ideal Bodrum investment. 4-Bed detached villa in Tuzla for sale with lake views. A resort complex with great facilities and a private swimming pool. Bargain Bodrum investment. 3 Bedroom smart home villas in Turkbuku for sale with panoramic sea views, private pool and private beach access for a high-end Bodrum investment. A 3 bedroom detached stone villa in Yalikavak for sale with panoramic sea views near the famous Xuma Beach Club In Kundu. Bodrum Investment choice. 500m2 of nature view land for sale in Guvercinlik close to a massive tourism city project and the airport. A bargain Bodrum investment opportunity. A luxury sea view villa for sale in Yalikavak with vast private gardens, a separate guest house and a large private pool. Ideal Bodrum Investment. Love Bodrum Homes? So do we, Based in our UK head offices, Bodrum Homes has been operating in the Mugla region for the past ten years. Our extensive experience in the area is matched by our passion for Bodrum, its culture and its history. Our local offces are also in Yalikavak, so do come and visit us. Over the years, we have built up an extensive network of trust. This reputation aids us in getting together our exclusive Bodrum portfolio and servicing the needs of overseas buyers. We are experts in our field who advise on lifestyle, investment and area. Bodrum Homes - your property, investment and lifestyle specialist. Copyright © 2019 BODRUM HOMES .ALL RIGHTS RESERVED.